Smartphones running on the Windows operating system is gradually gaining popularity. But after migrating from Android or iOS devices, many people can not get used to the characteristics of the system. For example, users may not be immediately clear how to put a ringtone for a contact or an alarm clock. 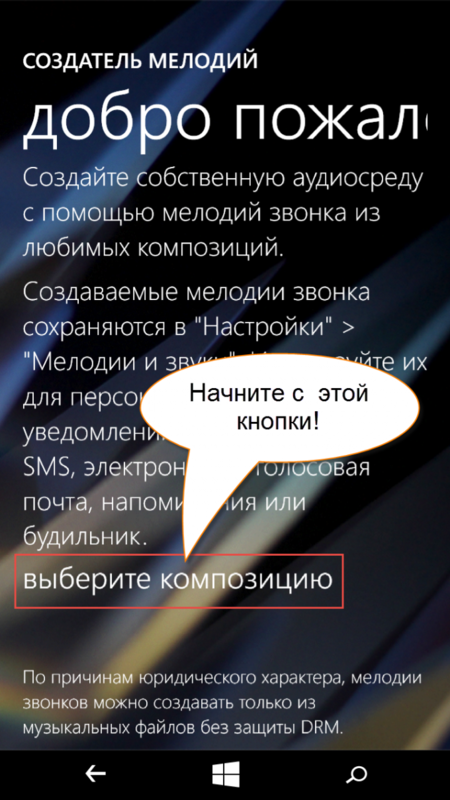 In the smartphone on Windows it is quite simple. First of all, as with the rest of the smartphones: download the ringtone to the device. I suggest to use OneDrive. Computer uploaded to the cloud storage file ringtone. Smartphone downloaded the OneDrive app to the device memory. 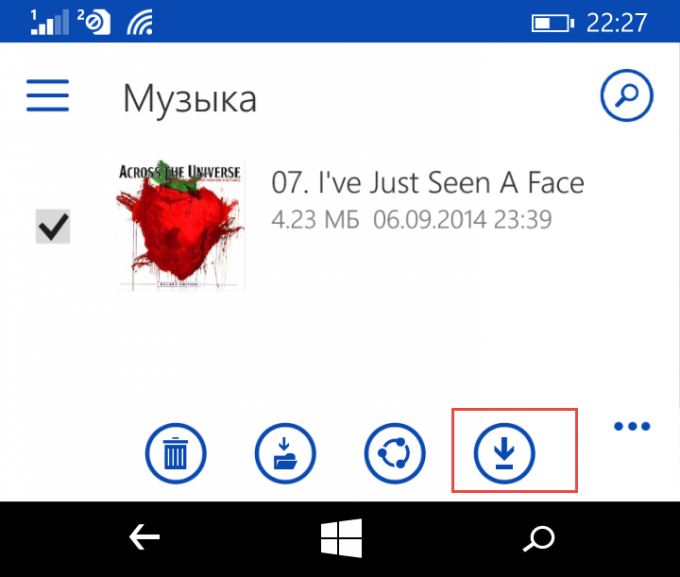 To do this, open the OneDrive app, tap on the music file and select the Download button in the bottom menu. When downloading, you choose the folder to which you want to put a file. We need a Ringtone. However, to download the file in this folder can be another way. When you connect your smartphone to computer on Windows 8 you will see all the folders of the device, including ringtones catalog. Should just move the music file into this folder to make it available in the menu selection ringtone or alarm. Now open a contact and assign it to a downloaded ringtone. Select the option "ringtone" and select your file. If the file is in accessible melodies is not shown, it is probably the system has decided that the file is too large. In this case, set the use the ringtone Maker app and cut the song to a smaller size. The recommended length of the composition — 40 seconds. The melody for Windows mobile can be installed on any notifications from background applications. For example, different sounds can receive messages Vkontakte and Skype. Set your favorite ringtone on the mobile phone simply. Just a few steps and your phone will start singing in any way. Also, if you allow the settings of the mobile, you will be able to put different tunes on your chosen numbers. And will always know who's calling even though the phone screen. To set ringtones for calls on most phone models, with the exception of simple machines (they are usually very cheap in price), where such a possibility does not exist due to the presence in the apparatus of one melody. In such devices it is set automatically, and changing it impossible. To give your phone a new "voice", open the section menu. Then navigate to the subdirectory "Settings" and select "setting signals". By visiting this section, you can produce with the signal all the necessary operation: set the volume, plug vibrate, you can choose which ringtone will sound when messages are received from subscribers, to connect or disconnect a variety of warning signals network, etc. If you need to install the tune, select "Setting signals" a "Ringtone" and select tunes from the factory or from the folder with your music stored on phone or memory card, ringtone, you are going to put on calls. In this case, the marked piece will be installed in all rooms. To deliver to each room or group of rooms and your own, individual call, you will need to visit the section "Phone book". Then select from the list of rooms you need, the subscriber, open it to view and then click "Options" or "Change". Then you must find the item "Change signal" or "Assign ringtone". The name of this option in different models may vary slightly. Then you will just have to find the right signal music and set it as your ringtone. If you want to download any ringtone on your phone, you can do it using Bluetooth, IR (infrared port), throwing it from one phone to another. Stored on a computer music files can also be transferred to the phone. For this you will need a USB cord, which will need to connect the phone and computer. Then copy the selected files and drag them to a folder of your phone or flash memory.